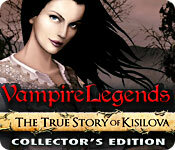 Rated 5 out of 5 by princess2828 from Vampire Legends: The True Story of Kisilova Collector's Editionm This game was amazing kinda like a good book that you just can't put down the same is true with this game once you start you want to keep playing to the end and then play the bonus content as well. The graphics were great as well as the sounds. I would recommend this game to anyone who likes a good story line or enjoys playing a good game. 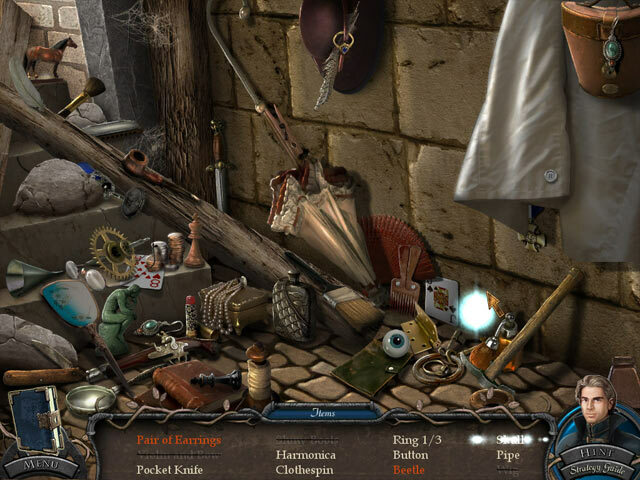 Rated 5 out of 5 by TrandaZoki from Great New Hidden Object Game The game is very fun to play. Graphics is excellent, images are so beautiful. Music makes good atmosphere, and voice-overs are really good.. The story based on true events is very interesting and makes me research even a bit more on the internet. All in all great game! Rated 5 out of 5 by geter712 from Great game! Although I'm not a big fan of point'n'click genre, I must commend on this one. These kind of games are usually interesting only for a few hours, but this one nailed my to the chair for several days :) Game play is smooth and entertaining but the main thing is the artwork! Scenes are very colorful and there are a lot of interactive objects. Great storyline too. Player must think really hard but the game is very logical and there is no moments when you have to do something stupid and totally unpredictable to advance, which is the main reason I usually avoid this kind of games. Storyline is great but the whole game should have been a little bit longer, so I hope they'll release a sequel soon. I recommend it to all vampires fans, especially those who like Dracula type of stories. Rated 5 out of 5 by Karidz from Karizd`s view of VL Great game,love it!Very interesting story. Rated 5 out of 5 by Sinak83 from I loved it I loved the beautiful visuals, and all of the characters. The game play was just right for me (I am intermediate level I would say), it kept me engaged for hours at the time. Music was subtle and well done, and artwork was highly polished. Truly a fun fun fun playing experience. Rated 5 out of 5 by milicatom from Great game, definitely worth a try Great game! I loved the atmosphere. The fact that it was based on true story really got me hooked. Definitely worth a try! Rated 5 out of 5 by BigFish137 from Great story, great game! I like this game! It works so well with such a good and unique Vampire story. I love sound in the game. Characters are great. There where enough diffrent puzzles to keep everyone heppy. I will buy this game ASAP! Rated 5 out of 5 by asaakira from very nice game I like this game, it is interesting. Rated 5 out of 5 by smiljkaa from Really great funny game Game is great and hidden objects puzzles were amazing! 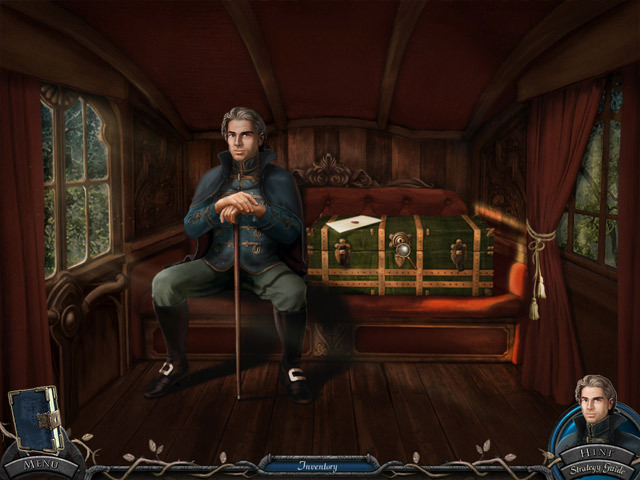 Rated 5 out of 5 by sandy3456 from Vampire Legends: The True Story of Kisilova Collectors Edition I gave this game a 5 star rating based on story content and fun factor. Rated 5 out of 5 by rugspot from Another Great Game!!!! I didn't finish the free trial so I don't go to far, until I purchase. It will be soon though. Not familiar with this developer I know there are many different ones. Looks great. Nothing negative at all. So enjoy once again. Glad to see this one, today. Can't wait to buy. Rated 5 out of 5 by bishky from Pretty Good Game I am not a Vampire fan but thought I would try this game. I did the "try me" and actually found it pretty interesting. The story line flowed along and was not difficult to follow. It is drawn fairly well and not hard to identify the hidden objects. You do quite a few mini-game (mix some medicine, etc) and they are fun too! As for sound quality, I played with the sound off so I can't say how it is. The "try me" only took me 22 minutes but I plan on buying this game when it comes out in SE, I just don't buy CE's as I don't need/want all the extras. Hope you enjoy it, I plan too!! Rated 5 out of 5 by Stsfuzzybear from Vampire, Pretty Mysterious Girl, Dead Fiancee Not exactly a totally original storyline. But, with this game it doesn't have to be. The SG is helpful, the hints are also. The HOSs are challenging, but, doable. The puzzles are varied and fun. I've only done the demo, will be buying the full game. Up to now everything has worked perfectly. Rated 5 out of 5 by pennmom36 from HE'S BEHIND YOU! I had no idea this town was the first to document cases of vampire attacks! You are summonded to go to Kisolova and investigate the sudden deaths of 9 people in a weeks time! There is sabotage every step of the way, someone doesn't want you to investigate! A stranger in a dark cloak is one step ahead of you, cutting ropes, blocking paths and stealing potential evidence. Your only clue is the fact that all of the victims have been bitten in the neck from behind and draining them of their blood! The HOS are well done, and interactive such as clicking on the knife to pick it up and using the knife to cut a melon slice. The only complaint is the items are kind of small. The mini game are pretty simple, such as connecting pipes from the fountain to the valve. There are also things to interact with in most of the scenes like knocking things over or petting the cat. In the bonus content they have real pictures of the town of Kisolva which I thought was pretty interesting. Rated 5 out of 5 by micheleappleyard from A must buy! There are three modes to play in. The puzzles so far are pretty simple so far. HOS's make you think and do stuff to get other stuff. I will more than likely get the CE of this game as I think it will have a sequel. Rated 5 out of 5 by odarney from I did something I haven't done in a longtime - bought a CE game without hesitation The graphics are outstanding. The voice-overs are excellent. The storyline is very well done. Yes, we've seen vampire games before, but this one is done top notch! I felt like I was watching a movie. It has a very different feel. As you start to poke around a room, it will tell you 'best to move on, nothing here right now.' It is very direct and fun. I can't wait to go play more! A+. Rated 4 out of 5 by kerith90angel from FULL GAME, THIS IS WHAT IS IN BONUS YOU ARE MISSING. *This review has spoilers* All in all, this IS one of those CE's worthy of the money. all bonus gameplay is new or revamped and the interviews, pictures, and screensaver made this one a BUY for me, here is why! The full SE took me around 3 hours, and bonus play approx. 2 hrs. I bought the CE for the SCREENSAVER it has. You have to complete all play to unlock it. It saves to the documents file of your computer, and what I do is save the screensaver to a CD so you don't really have to replay the entire game to unlock them for other computers you may own. This SS is cool with Rose standing in front of the lake -its same as the boot screen- and lightning strikes and her dress flows in the wind. OTHER EXTRAS: a walk through guide,wtg, which I used a lot because this is an older game with no map and a lot of back and forth. The wtg has 53 pgs. The SE is pg 1 to 37 and Bonus play is 38-53. 10 wallpapers, 20concept art -and 11 of these are 3 levels of a how a character is drawn. I'm not usually a fan of concept art but I loved how they added those 11 characters so I put them in a file, under my pictures and set them to change pictures via making a "theme" in control panel. There are 6 music tracks that you can save. INTERVIEWS: There are 2, approx. 2 min. interviews in Russian -assumed-with English sub text. I LOVED the out of the box thinking with these great little videos that show us in the first one, a tour around Kislova, and the 2nd is a tour of the cemetery which you see in bonus play- and the people, places and things that inspired this game. Next time would be cool if we could have an English narrator because a video is visual and its hard to read and see the video at the same time. I still adored it and just played it twice to see everything. The graphics in the first addition of Vampire Legends weren't nearly as good as the 2nd, which has since come out and I bought that CE too. HERE IS THE DL ON BONUS PLAY: I will specify areas new from the SE and replayed old areas. The story is all about Rose, and helping her. I loved her character, so that was great. We only briefly meet her in the SE, so it was fun seeing a lot of this beautiful character. 1. Town Center- where the pipe minigm was in SE but its REVAMPED to be winter. Has a mini game here. 2. Bedroom NEW 3. room off bedroom 4.Churchyard OLD but revamped 5. Cemetery NEW- mini game here 6. mosaleum & further into cemetery NEW- mini game here 7.past the church-up left road REVAMPED WINTER 8. Rose's house REVAMPED -mini game here 9. Barn to left of Roses house NEW10. Left door, in town center, a dilapidated study NEW HO scene here. list type with some added steps -my fav & mini game here. 11. trap door room under room 10 HO -list scene here. NEW 12.inside Rose's house NEW 13. Back porch of Rose's house NEW HO list scene here 14.Mill house- beautiful area. NEW 15. inside mill house NEW HO and mini game here. 16. lake/pier beyond the mill -also beautiful area. NEW minigame here 17.boat house HO list type here 18.inside boat house NEW mini game here After you finish bonus.... More of the true story behind this game is revealed. All in all this was a fun game! Thank you Organic to Digital Studios for the awesome CE content,,,, please bring us more like this! Rated 4 out of 5 by April_Fresh from Still Less Than a Night at The Cinema I loved this game! Like many people these days, watching my funds carefully, I waited until there was a sale on. So I got the CE for the price of an SE. If it was a book I'd say it was a page-turner, the story had me completely engrossed in 18th century Serbia. The puzzles were pretty easy but most were well placed, not taking away from the action of the story. HO scenes were actually quite nice as well, not too much junk and a few mini puzzles within the scenes. So for the important info: If you missed the half-price CE sale, the story finishes quite fine after the regular chapters. In the extra content are interviews giving background info on the real story this game is based on, I found to be very interesting. The art, music and wallpapers that also come with the CE were, for me, not anything special or exciting. In actuality I gave 4 instead of 5 stars because I found the bonus chapter not to be up to the same standard as the rest of the game. I hate to be the one to nit-pick but quite a few items came up in the HOs of the bonus chapter that were not even close to period correct and it kind of threw me out of the story. The flow really seemed off as well, lots more running back and forth to get this part for that bit that then have to go back over there with the other thing. The regular chapters took me about 4 hours to complete and the bonus chapter another one. In summary, if you're looking for tons of HOs and really mind-bending puzzles this is probably not the game for you. If you're looking for a story that is thoroughly entertaining and at least twice as long as most movies, definitely check this game out. Rated 4 out of 5 by megwoman25 from Awesome Storyline! If this was the standard edition, I would have given it 5 stars. It has a complete and satisfactory ending and the game itself is quite good along with the story. However, as a CE, this game doesn't have all the frills and collectibles and extras that other games do hence the 4 stars. I would have liked a bit harder of a challenge both in the game itself and the puzzles BUT the story line makes this game one of the best I've played all year. This is an UNIQUE, BASED ON TRUE EVENTS game. Its not your run of the mill vampire story. No love angle, just facts. And its done extremely well. I loved playing it. Usually I play in 1 hour increments but once I started this game, literally I couldn't stop. It took 5 hours give or take. The bonus chapter is put in the future. Its about one of the men on your first trek having nightmares about unfinished business so he goes there to check it out. YOU get to CHOOSE the ending. I did like that angle. The voiceovers are very well done. There is no live acting BUT Id take GREAT voices over terrible live acting any day. 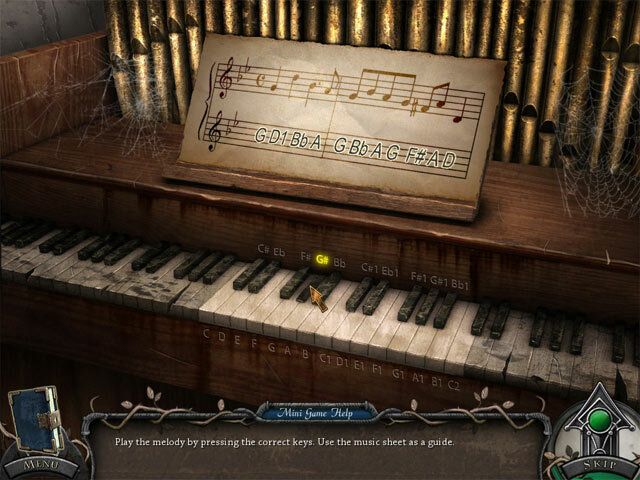 Also, the music score was great, never got overly annoying and made the game sort of spooky. Some games are so unique and great, they don't need all the collectibles, achievements etc to be extraordinary. This game is wonderful and I wish more developers would think outside the box like this and make engaging games that aren't just the same old story. Also, there are interviews about the folklore and truth in Vampirism according to locals and people who study it. It was very interesting and a great addition to the Collector's Edition. I have never heard of this developer before but I can only hope they come out with more of their original well done games in the future. Kudos to a new and unique story line! Not the same cliche vampire things we usually see. KUDOS! Oh & you only play each hidden object scene once which is great because you don't get sick of the scenery AND it doesn't make you go back and forth just to make it longer! Rated 4 out of 5 by Angelique1971 from decent game Good game. I had a lot fun playing this one. The story is intriguing and I love how well it is intergrated with gameplay. This isn't the most challenging of games but it provides a couple hours of entertainment. HOS and puzzles were fun but simple. There is not alot of backtracking as items are often used quickly. The graphics are well done. Voice acting and some items could have been more accurate to 1725 Serbia. I will admit at times it felt more like a movie rather than a game but sometimes that's exactly what I like. Different moods for different games. This type for an enjoyable, relaxing experience. However, the whole game is pretty short. It has a great bonus chapter though, which seems more task driven than regular play. The CE doesn't have any collectibles. There are some interesting extras relating to the actual Kisilova. Overall, decent game. Rated 4 out of 5 by Granny512012 from WOW!!!... LOVE THE FACT THAT THIS GAME WAS BASED ON A TRUE STORY!! !...ONLY A FEW WORDS TO SAY...LOVED THE GAME N WISH WE HAD MORE LIKE IT!! !...GREAT JOB DEVS!!!! Rated 4 out of 5 by RainbowWalker from Love vampires I love vampire themed games, this one has cool story and gameplay was quite fun. Totally recommend this one.